Over a hundred ethnic groups, a mixture of foreign influences and a fusion of culture and arts have enhanced the uniqueness of the Filipinos. The Philippines has three main islands - Luzon in the north, Visayas; a cluster of smaller islands in the middle, and Mindanao down south; the largest island. Considered the third-largest English-speaking country in the world, the Philippines offers world-class facilities and services - excellent accommodations, fine restaurants, modern shopping centers and communication services and professional tour operators. 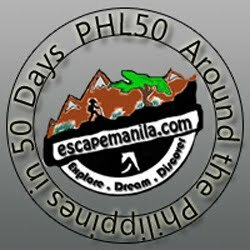 So whatever activity you intend to do on your next vacation; from Diving to Mountain Climbing, Beach to City Life, Cultural and Heritage to Adventure and Adrenaline Rushes - make your venue the Philippines!